Winter is upon us and with that the option of wearing a lot of fabrics that we can’t wear the rest of the year. Velvet, silk, twill, fur, there are so many fashionable and chic fabrics that we can get so many things made out of or buy online. Oh, and then there is leather. While men are happy wearing leather jackets, a lot of women take to wearing striking and rad leather pants. 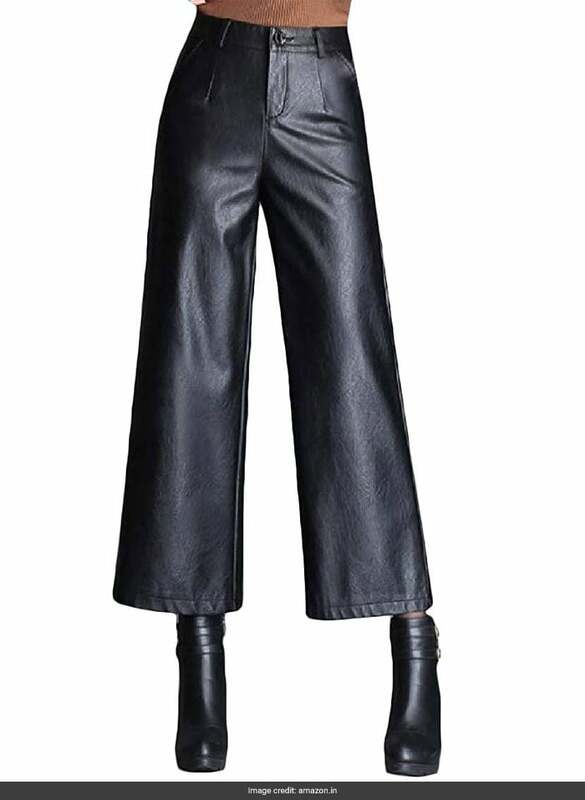 Not easy to rock but something that looks amazing, a pair of leather pants can be worn with a lot of other things. And if you need a lesson in how to wear one, take one from Diana Penty, who was seen wearing a pair of leather pants at the airport today. Check her out! 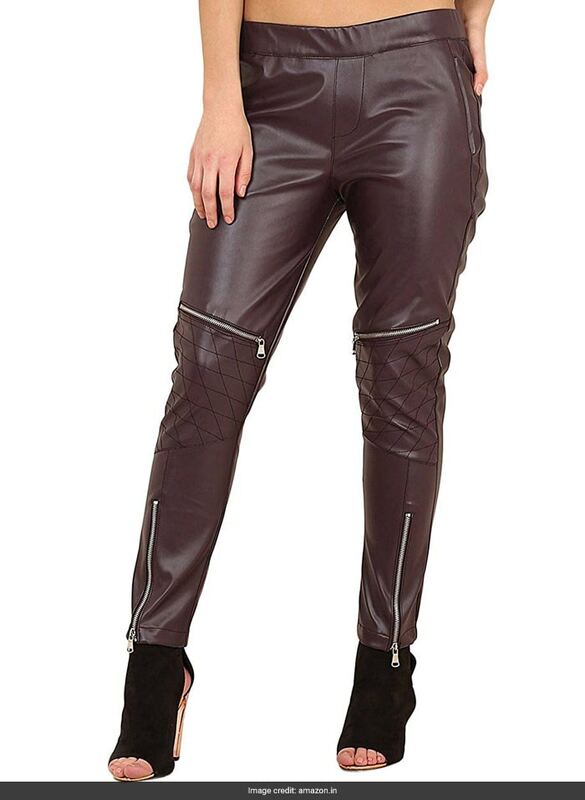 If you want to rock a pair of comfortable leather pants, something that is not body hugging, go for this pair of VaeJY high waisted faux leather pants which widen up around the ankles. They are stylish, chic, and will look amazing if worn with a black turtleneck sweater. If you don’t mind wearing tight clothes, these faux leather leggings from Timbre. Stretchable and lightweight, the leggings can we paired with an oversized shirt or a chunky sweater for the complete look. And if you want a pair of faux leather jeggings that come with zip detailing and stands out, this pair of Yepme jeggings is the one you should go for. Make sure that you wear this one with something minimal so that the jeggings become the point of attraction in the outfit. Get your leather game on!